Dedicate the 5th (Fri) to wine at some of the top wineries in the area. 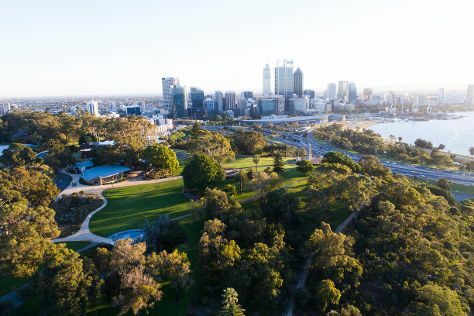 There's still lots to do: stroll around Kings Park & Botanic Garden, stroll through Perth Zoo, pause for some photo ops at Kings Park War Memorial, and contemplate the long history of The Bell Tower. To find ratings, where to stay, and more tourist information, you can read our Perth holiday planner . Zurich, Switzerland to Perth is an approximately 21.5-hour flight. The time zone difference when traveling from Zurich to Perth is 7 hours. When traveling from Zurich in April, plan for much warmer days and a bit warmer nights in Perth: temperatures range from 31°C by day to 15°C at night. Wrap up your sightseeing on the 6th (Sat) to allow time to drive to Margaret River. Change things up with these side-trips from Margaret River: Augusta (Jewel Cave & Cape Leeuwin Lighthouse), Busselton Jetty (in Busselton) and Meelup Beach (in Dunsborough). Spend the 7th (Sun) on a tasty journey with a beer tour and tasting. Next up on the itinerary: let your taste buds guide you at a local gastronomic tour, learn about winemaking at Brookwood Estate, explore the fascinating underground world of Ngilgi Cave, and explore the activities along Bunker Bay. To see more things to do, ratings, reviews, and tourist information, you can read our Margaret River tour itinerary builder site . Getting from Perth to Margaret River by car takes about 3 hours. Other options: take a bus; or do a combination of train and bus. Cap off your sightseeing on the 11th (Thu) early enough to go by car to Fremantle. 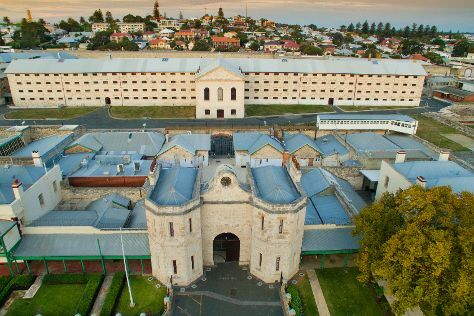 Start off your visit on the 12th (Fri): hunt for treasures at Fremantle Markets, contemplate the long history of Fremantle Prison, make a trip to Monument Hill War Memorial, then contemplate the long history of The Fremantle Round House, and finally see the interesting displays at The Shipwreck Galleries. Get ready for a full day of sightseeing on the next day: examine the collection at Western Australian Maritime Museum, take a leisurely stroll along Fremantle Fishing Boat Harbour, then don't miss a visit to Bon Scott Statue, and finally enjoy the sand and surf at Cottesloe Beach. To find traveler tips, maps, and other tourist information, refer to the Fremantle journey planner. Traveling by car from Margaret River to Fremantle takes 3 hours. Alternatively, you can take a bus; or do a combination of bus and train. April in Fremantle sees daily highs of 31°C and lows of 15°C at night. Finish your sightseeing early on the 13th (Sat) to allow enough time to travel back home.